Lindsay Gardner, NCAA All-American softball player and former member of Team USA, teaches a softball player how to hit more effectively at a free clinic at Yelm Middle School Monday, April 1. Lindsay Gardner, NCAA All-American softball player and former member of Team USA, instructs a softball player on the fundamentals of the game at a free clinic at Yelm Middle School Monday, April 1. Lindsay Gardner, NCAA All-American softball player and former member of Team USA, makes the players do sit-ups for conditioning at a free clinic at Yelm Middle School Monday, April 1. 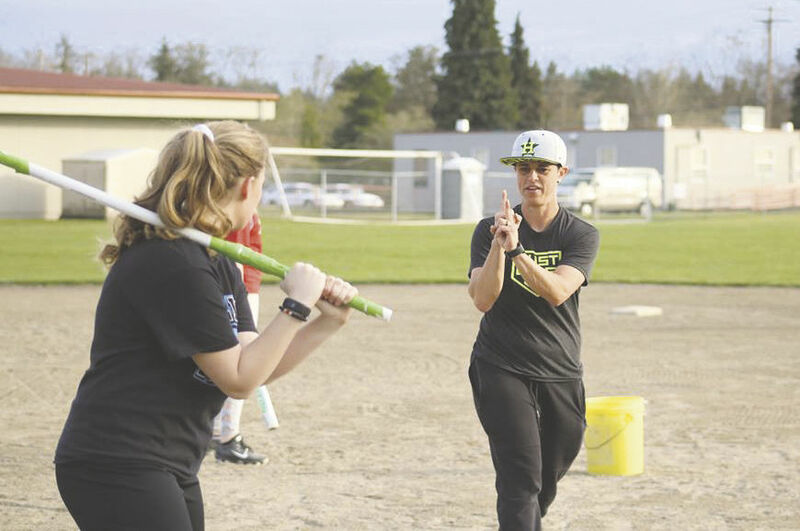 Lindsay Gardner, NCAA All-American softball player and former member of Team USA, came to Yelm last week and ran clinics for young fastpitch players in the area. 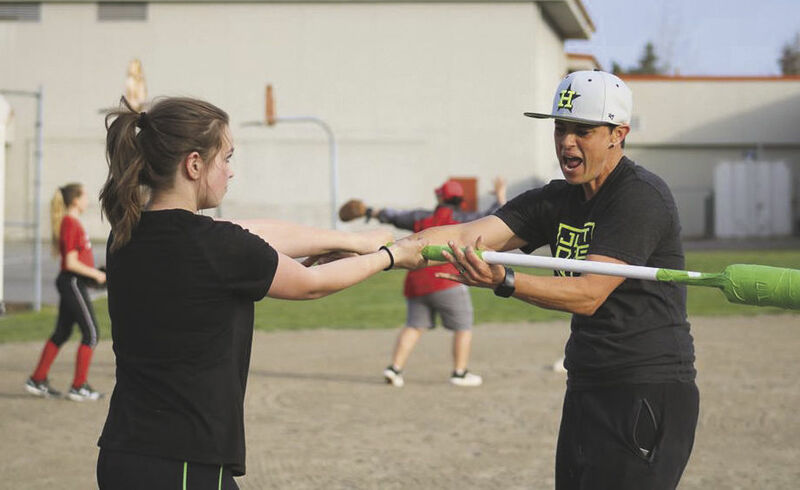 As part of her softball clinic business, West Coast Queen of Diamonds, Tiffany Castro reached out to Gardner and brought her out to Washington to run clinics together for several days. And bringing Gardner to the area was the way that Castro felt she could do just that. After the success of the pop-up clinic, Gardner and Castro offered a couple for-profit clinics in a private field off of Bald Hills Road after a father of one of the softball players offered up his property for the events. Gardner said that in addition to her coaching and clinics, she has a website called www.justdigin.com and an Instagram called justdigincorp with 23,000 followers that has free videos on it that can teach the fundamentals of softball, like hitting. She said that in clinics she tries to teach 100 different ways to hit a ball versus one way to hit a ball. Essentially, she teaches how to hit a ball where players want to hit it, before the next pitch is even coming their way. In doing this, she said she feels like she is getting the knowledge out there about how to compete. And competition is something Gardner knows quite a bit about. The Katy Cruisers ended up winning a national championship. It was the first and only time a Texas team has won the national championship for ASA (Amateur Softball Associated), Gardner said. Next, she went to the University of Texas, playing there from 2000 through 2003. After that, she was the head coach of Saint Edward’s University for about five years before deciding to branch off into the private sector of coaching. Eventually, Gardner said she would like to work with Major League teams like the Houston Astros. Overall, Gardner said she is proud to work with young people, teaching them how to function in life, as well as in sports.